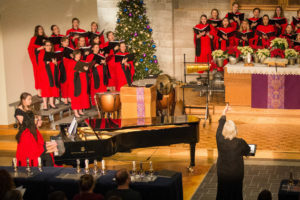 The Steinway 88 Keys Program gives you the opportunity to directly enhance the rich musical experience students have at Bethany Lutheran College. Every piano has 88 keys. By purchasing a key, your generosity will get us one step closure to enhancing the rich experience students have at Bethany Lutheran College, with the world’s most prestigious and elegant piano designed by Steinway & Sons. Bethany Lutheran College provides Christian higher education in a challenging academic environment where personal mentoring guides students to pursue knowledge, truth, and discernment for productive and fulfilling lives. Bethany engages students with the saving knowledge of Christ and assists them in developing their God-given talents and abilities for meaningful lives of service in the family, church, and society. A program of study grounded in the liberal arts and taught through the discerning lens of a Christian worldview equips students with knowledge, understanding, and adaptable skills. Bethany is currently embarking on a fundraising campaign to replace the College’s collection of eighteen pianos that are showing their age. We are seeking donations to fund the purchase of these instruments. 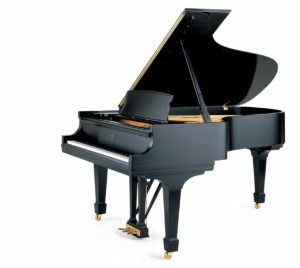 Ultimately, our goal is to raise funds for a Steinway Model B.
Fifteen pianos on the campus are currently in need of replacement with the average age of the heavily used pianos at nearly 25 years. Many soundboards on practice pianos are cracked. Hammers and strings are worn out. Pianos are used for classroom instruction in music theory, ear training, music history, music literature, and performance classes. Every music student practices on pianos every day. Since pianos are foundational tools for study in all areas of music, this really affects all students, not just those in piano performance. The two “chief” grands in the Ylvisaker Fine Arts Center date from the early 1970s, and one of those is a rebuilt instrument from the 1920s. All of the studio and practice room pianos have been in constant use since 1990. There is an urgent need for new instruments. Alumni and friends interested in helping Bethany secure new pianos may contact the Advancement Office. While any donation would be accepted and appreciated, we are looking to have donors purchase a key for a minimum donation of $1500. The additional funding will allow for a year of tuning and maintenance of this amazing instrument, to ensure that the life of the piano be extended through excellent care for many future generations.